The Sunday School Publishing Board of the National Baptist Convention, USA, Incorporated was instituted in September of 1915 after several debates over the direction of the National Baptist Publishing Board. Under the leadership of Reverend E. C. Morris, who served as president from 1894-1922, the publishing board was one of the first black-owned publishing companies in Nashville, Tennessee, and the South. During the first five years of its existence, attorney Solomon P. Harris and Rev. 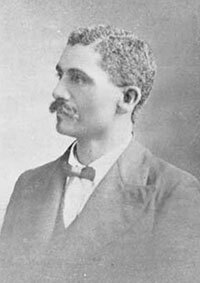 William Haynes helped fashion the operation of the publishing house and one of its most successful magazines, The National Baptist Voice. However, in the 1920s, Reverend Dr. A. M. Townsend, a graduate of both Roger Williams University and Meharry Medical College, took over the operation and made the SSPB a more progressive entity with thirty employees, modern printing equipment, and a new building. Because Dr. Townsend recognized the need for a new building, he raised funds from three hundred donors who each contributed $100 and purchased the "Old Commercial Hotel." The building, which was named after the founder, E. C. Morris, was also the site where slave traders gathered to discuss the buying and selling of slaves. The redesigned Morris Memorial Building opened on October 19, 1925, and was among the most modern and best-equipped publishing houses in Tennessee. After Rev. Dr. Townsend's death in 1959, the SSPB operated under the leadership of Rev. Charles Dinkins, Dr. D. C. Washington, and its first female president Dr. Cecelia Nabrit Adkins, who was elected in 1975. She also became the first female administrator to lead a publishing establishment which served 35,000 churches and over eight million constituents. Dr. E. L. Thomas served as Executive Director of SSPB from 1996-2007. Dr. Kelly Miller Smith Jr. served as Executive Director of The SSPB from 2007-2013. Dr. Derrick L. Jackson who was appointed as the Interim Executive Director in 2013 was officially appointed to the position of Executive Director in 2014. The SSPB remains a leader in producing educational and relevant church-related materials and continues to prosper. There is a greater emphasis on addressing issues in the local, national, and international communities, utilizing current technologies, and upholding Christian principles for the advancement of the kingdom of God.